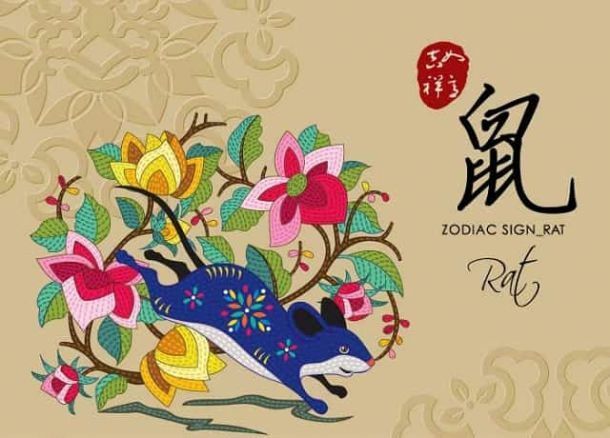 The year of the Pig puts your focus on your overall life direction, both in your career and your love life. Pig is a water sign, like yours, the Rat, and you will really feel like you’re in good company this year. You’ll be surrounded with like-minded people and able to achieve a lot together, making this a good year for love and friendship, as well as your career and financial prospects. If you have been slogging it all on your own, you will finally find someone who can share your burdens and lighten the load. This is also a good year for socialising and for enjoying good times with friends. As a Rat, you are clever, determined and strong and you know how to make the most of opportunities coming your way. You’re not the most romantic of signs and prefer to show your love in practical ways. Love for single Rats: You will have many an opportunity to meet someone through your active social circle this year but if you want to make it stick, you really need to put some work into it. You could meet someone by the end of the year, just when you’re ready to make a brand new start! Love for coupled up Rats: If you’re an attached Rat, you can look forward to a very loving year, when you and your partner enjoy a friendship and a meeting of minds. All your partner wants this year is to make you happy. Year of the Pig Forecast for you: Find like-minded people and get your love life and career back on track! Others might bring you unexpected gifts.